At Alliance Ob/Gyn, you’ll find a complete range of the latest obstetrics and gynecological care in a relaxed, friendly environment. Talk to doctors who understand your needs. One of the first things you’ll notice when you enter either of our locations is the warm, inviting environment, designed to help you relax and feel comfortable. But don’t expect to spend too much time in our reception area…because at Alliance we value your time. That means we see you on time and we plan our appointment schedule to give you all the time you need to ask your questions and get the answers you need. And most important…we listen – really listen – to you. So, take as much time as you need, ask as many questions as you want…because we’re here for you…always. Alliance Ob/Gyn has designed our gynecological care to match your individualized and highly personal needs. 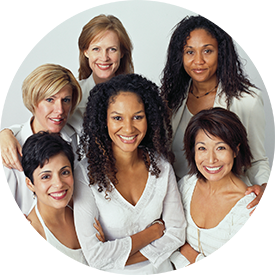 We understand that no two women are alike, and that’s why we’ve designed our services to meet your personal needs. We believe quality gynecological care requires understanding, respect and trust between patient and physician. We are devoted to improving the health and well being of all women through professional care and the cultivation of relationships founded on compassion, trust and respect. Making a choice about birth control is a life changing event. 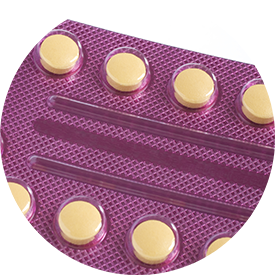 Modern birth control has advanced tremendously and offers women an assortment of versatile options. These birth control methods are allowing women and men to have better control of if and when they become parents. Alliance Ob/Gyn is experienced in administering several types of birth control. We can help you to determine a method of birth control that is suitable to your lifestyle and goals. For prescription birth control, you can choose from the full range of family planning care, including NuvaRing, OrthoEvra patches, and intrauterine devices (IUDs). Our team of Alliance Ob/Gyn believes that proper family planning benefits the health and well-being of women and families everywhere. Choosing the appropriate method of birth control can help prevent unexpected or unwanted pregnancies, as well as improve prenatal health with properly spaced pregnancies. Whether you’re anxious to start a family, want to put it off for a while or have as large a family as you want, at Alliance you’ll find we can help you achieve your goals. If you are having trouble conceiving we can help you find the reason for your fertility problems and provide a solution to having the family you’ve always wanted.